This has to be one of my all time favourite meals, despite the fact that I’ve been cooking it for years, it never gets old. It’s a real crowd pleaser and easy to scale up so it’s ideal if you’ve got friends coming round, I think help-yourself sharing food is brilliant when entertaining, it’s more social and a lot less work for you! 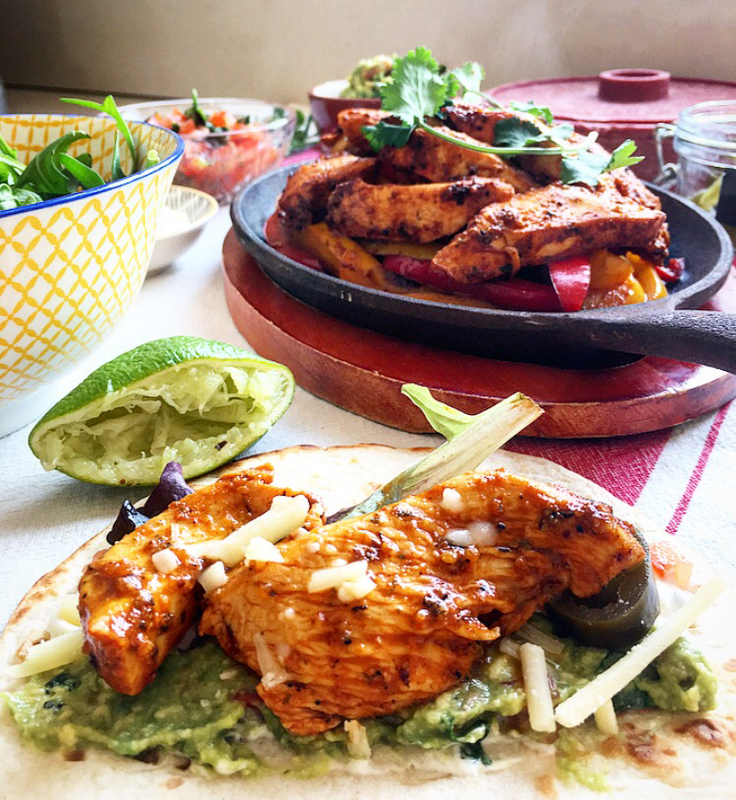 You can vary it too; swap the chicken for steak, turkey or lamb, add some fresh mango or pineapple to the salsa or make it veggie by trying chunky slices of portobello mushrooms and grilled halloumi- the options are endless. 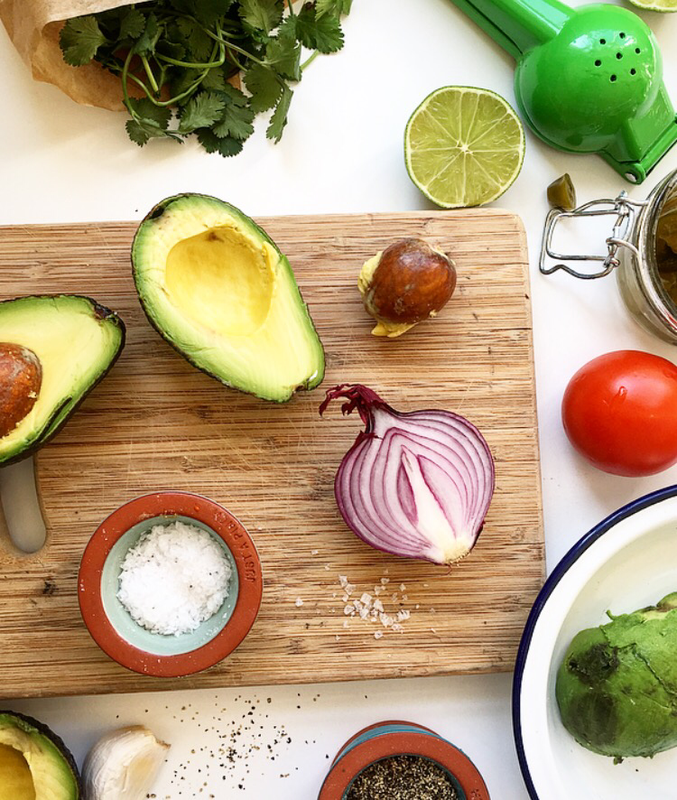 It’s also pretty healthy; in fact if you make most of it from scratch it’s a meal that’s packed with lots of great good mood foods like avocados, fresh coriander, spices, fresh lime, peppers and tomatoes. 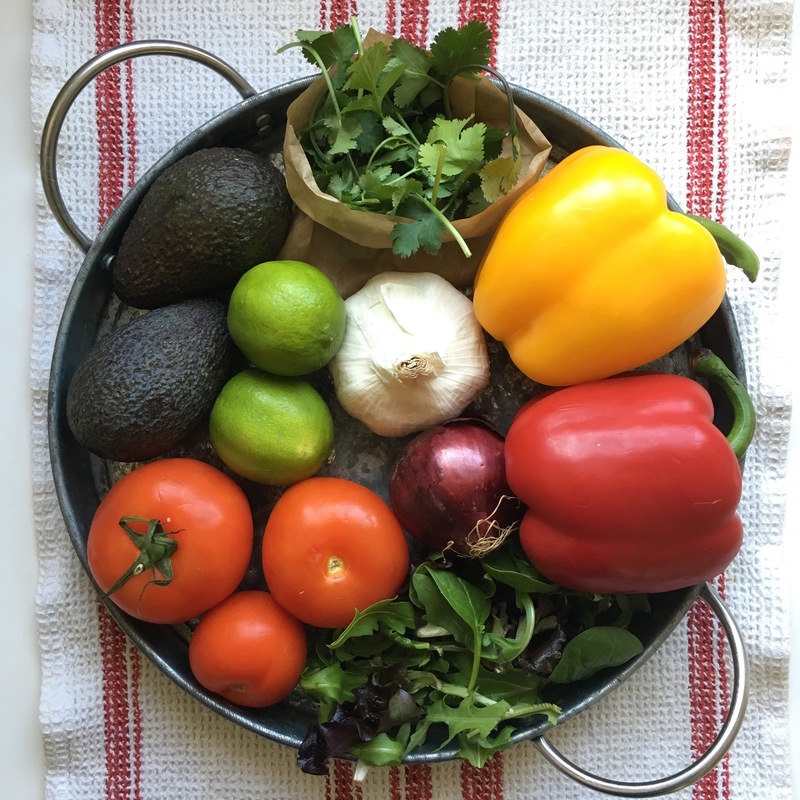 Not only is fresh guacamole totally delicious, the main ingredient, avocados, are rich in B vitamins that release neurotransmitters such as serotonin and dopamine. Dopamine is responsible for feelings related to love, joy, pleasure and motivation and serotonin helps to regulate our mood – so you can see the relevance for mental health! They are rich in healthy fats while being cholesterol free and packed with vitamins, so our bodies will thank us for eating them too. I know fresh coriander is a massive divider of opinions, if you’re in the hate camp then do leave it out maybe add some parsley instead, but I love it! It contains various different acids that can actively help to lower cholesterol. It also aids digestion, which is really important for mental health as many symptoms actually start in the gut. Although we tend to think the brain is in charge when it comes to mental health, studies have shown that the health of our gut is also closely linked to our mental wellbeing. Our enteric nervous system (ENS) is found in the walls of the gut, this works in conjunction with our brain and is thought to be largely responsible for all our gut decisions. It sends information to our brains regarding things that affect our well-being and emotions. That’s where the phrase to rely on “gut instincts” comes from and i’m sure you will have noticed the links in the past, ever had a stomach ache as a result of stress or felt ‘butterflies’ in your stomach when nervous or making an important decision? For this reason it’s really important to keep a good balance of bacteria in the gut in order to maintain your physical and mental health. Try and remember that next time you’re deciding what to eat, your gut has a brain as well, and it’s in constant communication with your mind, that is why food has such a massive impact on your mental health! 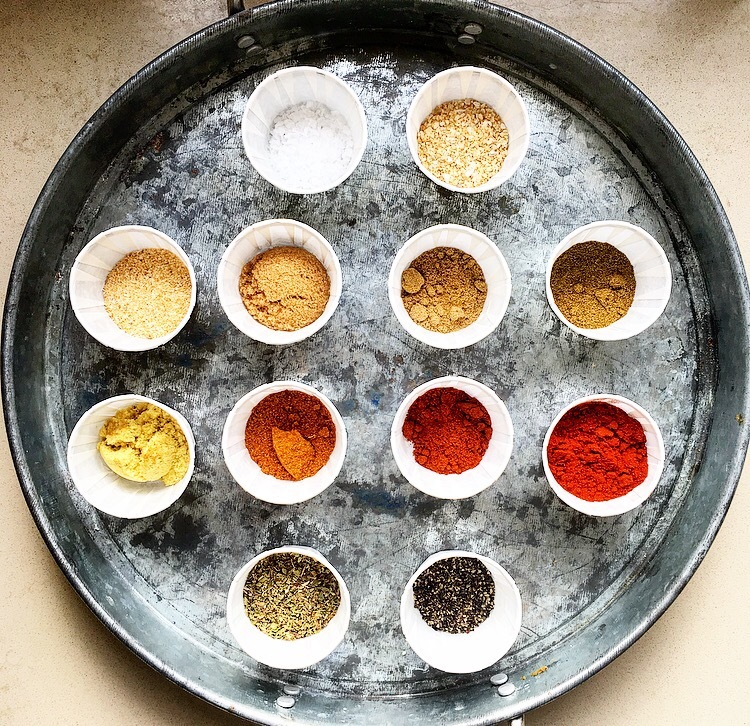 Herbs and spices are a great way of adding flavour without extra calories or fat, plus many spices have lots of health benefits that can contribute to our overall wellness. They’ve been used for centuries with many of them being celebrated for their medicinal properties well before their culinary uses were known. 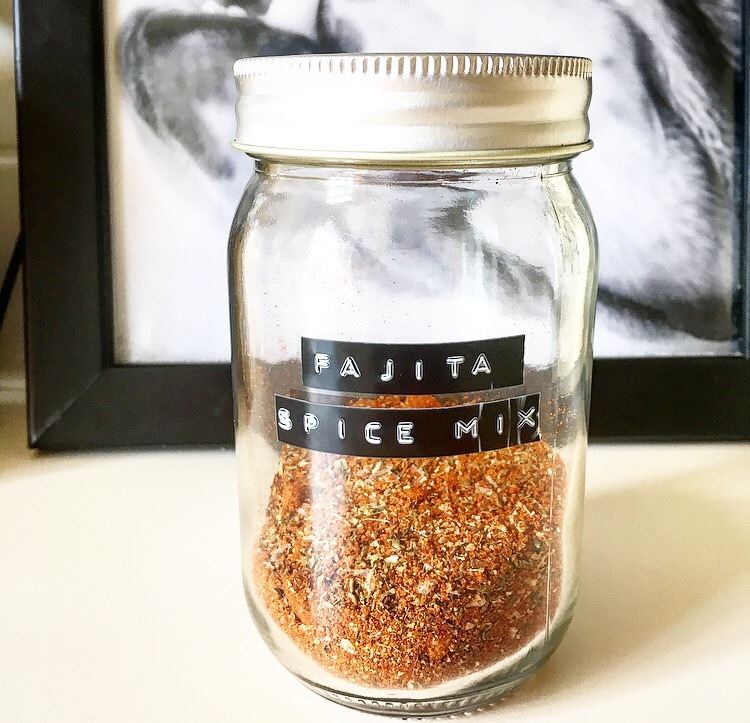 I’ve included a recipe for my fajita spice mix, this will make more than you need but it keeps for months in an airtight container such as a jam jar. 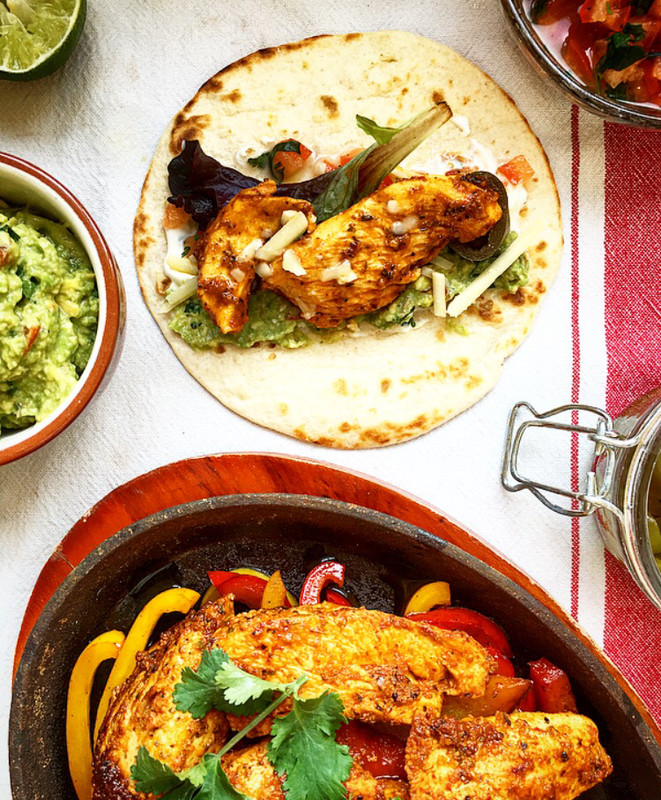 So you’ll only need to put the effort in once for lots of future fajita nights! If you do make fajitas a lot I’d recommend doubling the quantities to make twice as much. 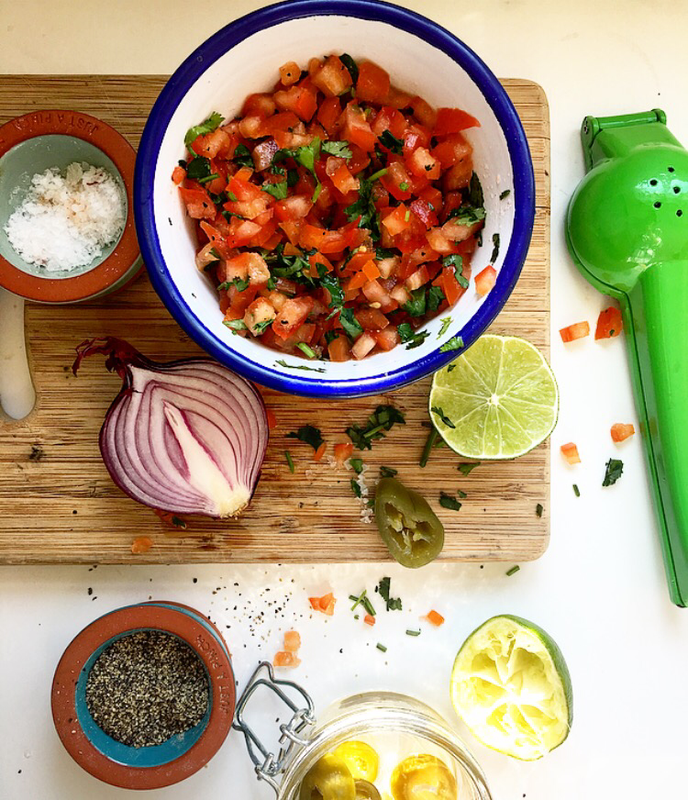 However if your spice rack or cupboard is pretty bare and the thought of splashing out on all those spices is putting you off trying this recipe, then just use a ready made seasoning mix instead. I’ve used one many times in the past, still do if I’m cooking on holiday and the kitchen has no spice cupboard, with decent results. 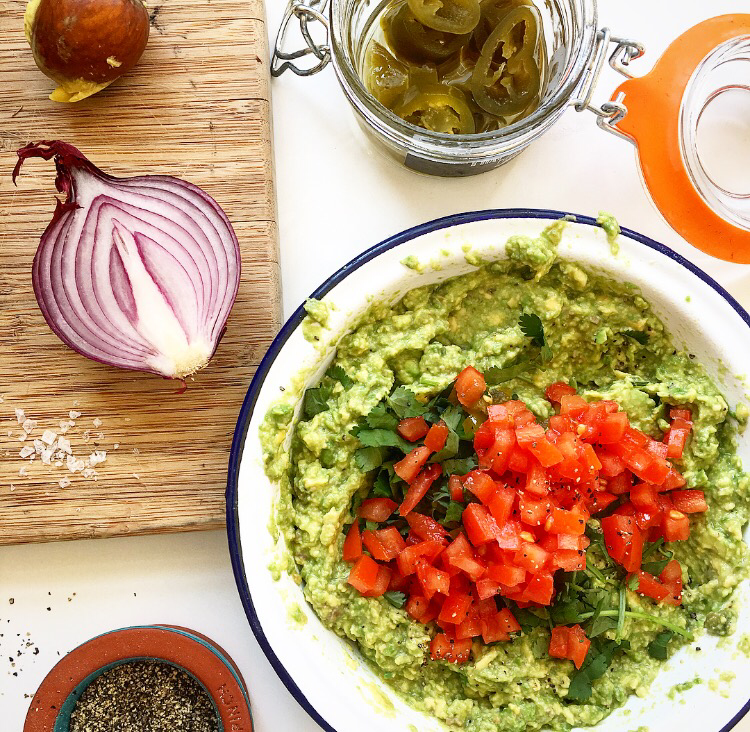 You could also substitute making your own for some ready made salsa or guacamole but I wouldn’t reccomend it, in fact the more you make these the less of an issue making your own becomes. We have fajitas once a week and I can have them on the table from start to finish in about 45 minutes now, which isn’t bad at all. In fact it’s quicker and tastier than ordering a take-away, happy cooking! 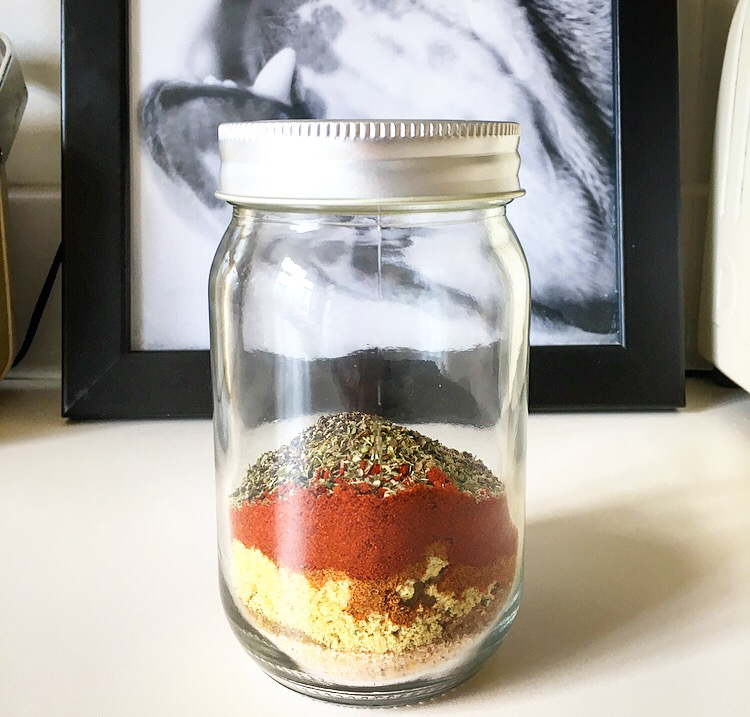 Mix all the spices and store in an airtight container until you need it. 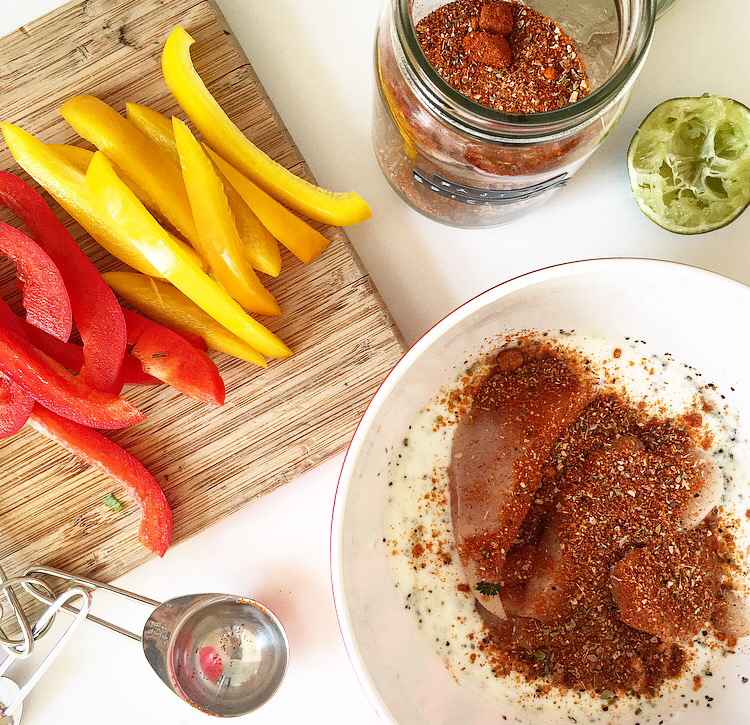 Mix the yogurt or milk, spice mix, salt, pepper, lime juice and chicken and leave to marinate for up to 24 hour in the fridge or 30 minutes on the side. Halve, peel and stone the avocado, roughly chop the flesh and add to a medium bowl. Add the ¾’s of the lime juice about 1/2 tsp of sea salt, the chilli vinegar, some black pepper and the garlic. Roughly mash with a potato masher or fork until mashed with a little texture remaining. 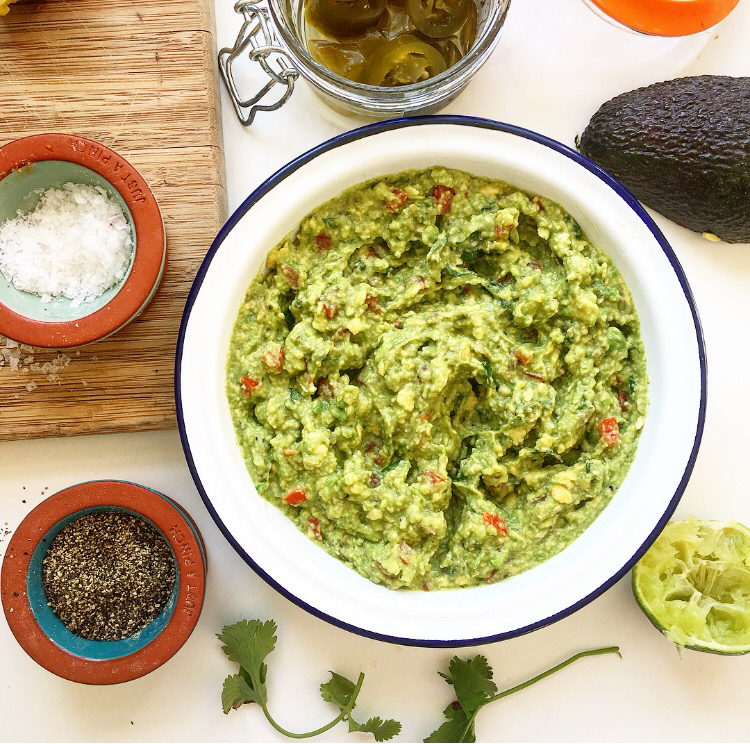 Taste (good guacamole is all about the seasoning) and add more lime juice, salt, garlic or pepper if you need to. 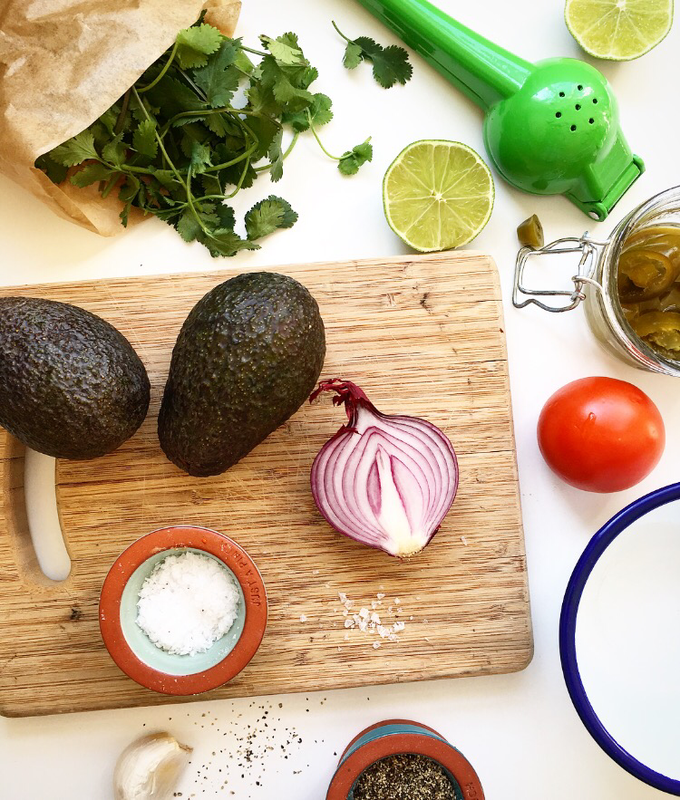 Finely chop the jalapeños and stir in the avocado with the tomato, red onions and coriander. Tip: if you’re making this a couple of hours before you want to eat it then store it with a layer of cling film flush against the surface in a container with a lid to stop the oxygen turning it brown. 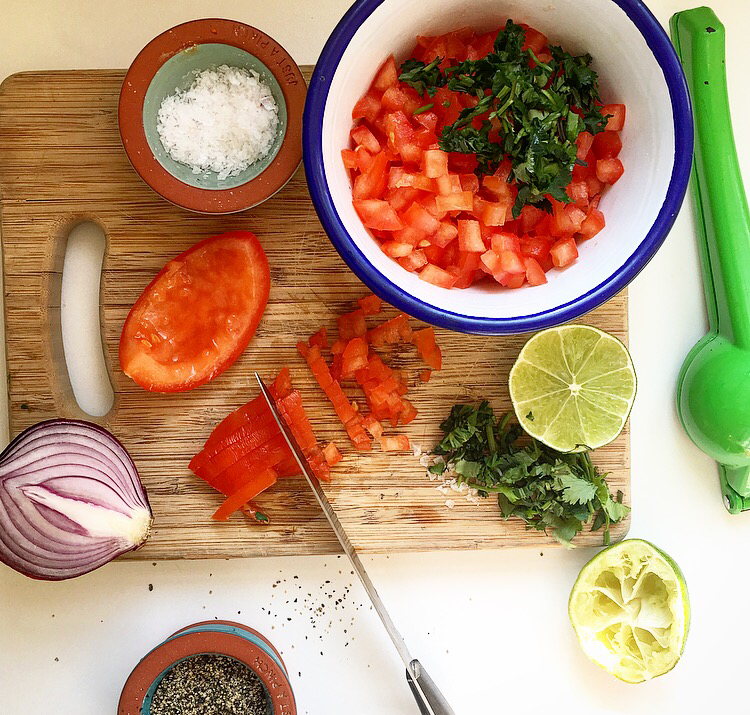 Dice the tomatoes as fine as you can and mix with the red onion, lime and coriander, then some salt and pepper. Taste and add a little more lime, salt or pepper if you need to. The flavour of this will improve the longer it’s left so if you can make it a few hours before, just leave it covered on the side, not in the fridge. Heat oven to 150C to keep warm. Spray a large frying pan with some oil and cook the peppers and 1/2 tbsp of seasoning mix on a medium heat, stirring often, until tender with a little bite to them, about 10-12 mins. Remove to an ovenproof serving dish (or skillet) and keep warm while you cook the chicken. Add the chicken and any marinade to the pan and fry on a medium-high heat for about 8-10 minutes, until cooked through and golden brown. Add to the peppers. 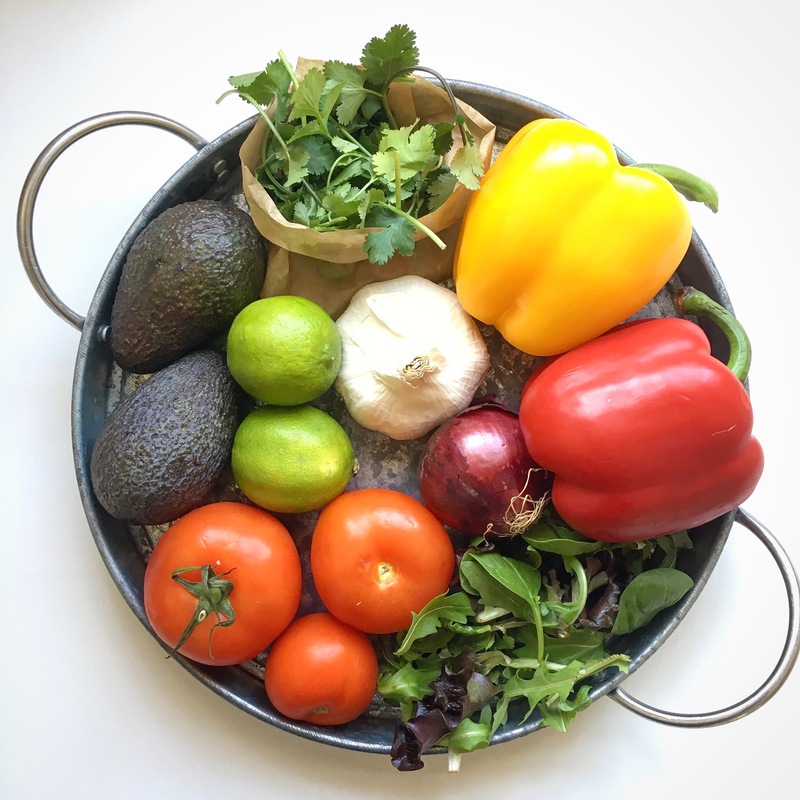 To serve spoon your sour cream or yogurt into a serving tray or bowl with the cheese, jalapeños, salsa, guacamole and leaves. 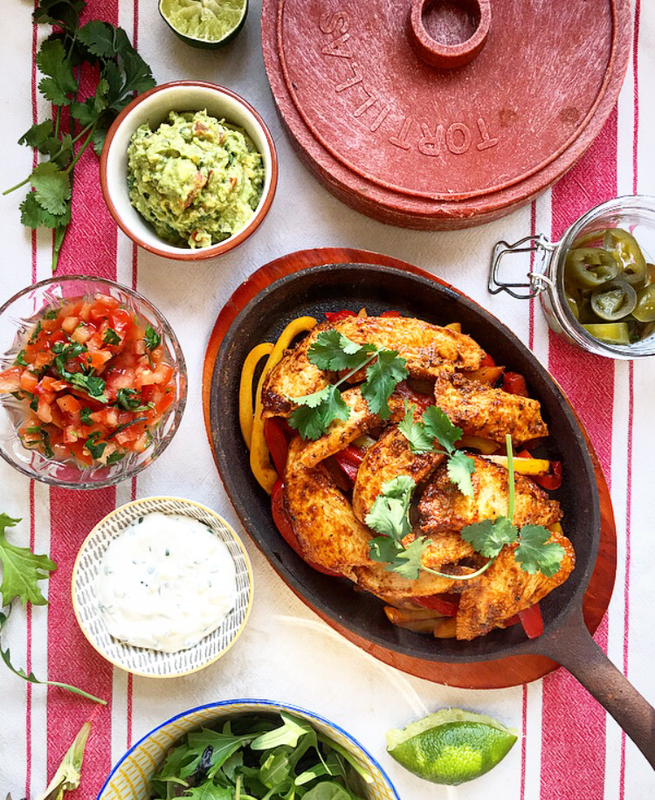 Warm the tortillas then serve alongside the chicken and peppers. Next Post Quitting Drinking- an Update & Chicken, Roasted Tomato & Halloumi Salad with Buttermilk & Chive Dressing.